Anacortes, Washington is known as the gateway to the San Juan Islands. 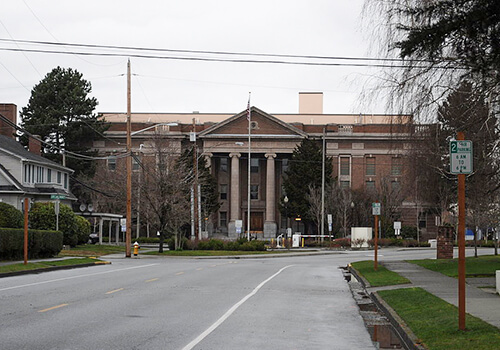 Over 16,000 reside in the city, which is a part of Skagit County. Driving, as in most other places, is the main mode of transportation aside from taking the ferries. A car accident in Anacortes can be a very serious event. If you become injured to the point that you miss work because of your injuries, you could benefit from Legal Care provided by MyTrafficMan. The first steps involve letting several entities know the accident occurred after you have evaluated your situation and ensured everyone’s relative safety. One of these entities is your insurance company. You must also swap personal information with the driver of the other car. Be sure to exchange your names, phone numbers, driver’s license numbers, and license plate numbers, in addition to information about each other’s insurance policies, including the insurance policy number. Calling the police ensures that a valid police report will be written up about your accident. This record of the event is necessary to file a claim with your insurance company. If you expect to receive the maximum settlement you deserve, this report is crucial to your Anacortes personal injury attorney. Without a police report, your claim may not go as far as it otherwise could. Although it is sometimes tough after you have experienced shock, make sure you report events as accurately as possible. Photographs don’t lie. The more photographs you take of the property damage, the injuries that occurred, and even the scenery (to give your claims adjuster an idea of the driving conditions), the easier it will be for your adjuster to piece together the sequence of events. Photographs make it easier to pinpoint what happened and who was at fault. An Anacortes personal injury lawyer is ready to help you when you contact MyTrafficMan. We are a network of top-caliber attorneys throughout Kittitas, Clark, Skagit, King, and other counties in Washington. Call (360) 734-0908 today.